Chess novices might not be able to parse all of Hess’ analysis, but the gist is still easy to follow, and enthusiasts will likely nod along to insights like “White’s cruising. Up a ton of material. Checkmate in a few. Very clear that white was the stronger player,” which is Hess’ take on a match between Magneto (playing white) and Professor Xavier (black) from the first X-Men movie. Hess et al. 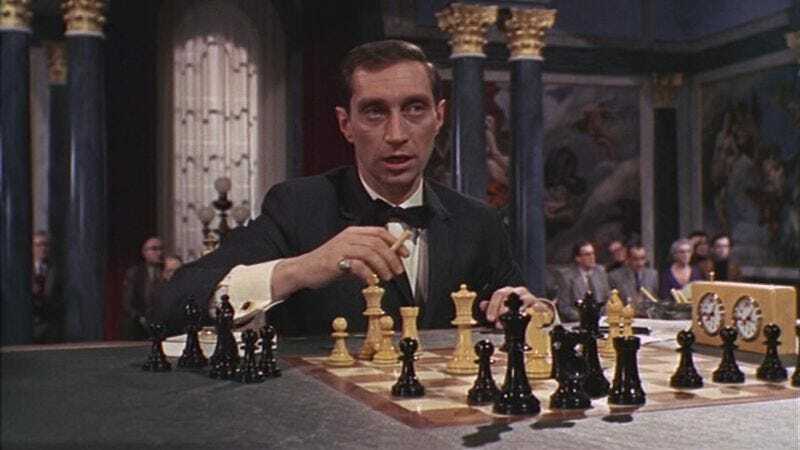 also analyzed a game from X-Men: First Class, which sees a younger Xavier playing a much more reckless brand of chess, as well as games depicted in From Russia with Love, Sherlock Holmes: A Game of Shadows, Back To The Future Part III, Independence Day and Blazing Saddles.